Ukraine is a beautiful country in the South Eastern part of Europe. Its colorful and bright traditions, rich culture, ancient history, unique geographic position and friendly, kind people make Ukraine a bright spot on the world’s tourist map, which attracts more and more visitors from all over the world. Ukraine has a lot to offer to everyone and will satisfy the most exquisite tastes. This is a country of amazingly varied landscapes. It’s hard to believe how every part of this rather small, Texas-size country can be so distinctive and unique. Wherever you go you will find absolutely different, peculiar this certain area breath-taking sceneries, historical monuments and unique food enriched by local culture and traditions. Magnificent! There is no river in the world as beautiful as it”. It flows across the territory of Ukraine and divides it into two absolutely different parts. Kiev is the capital of Ukraine. 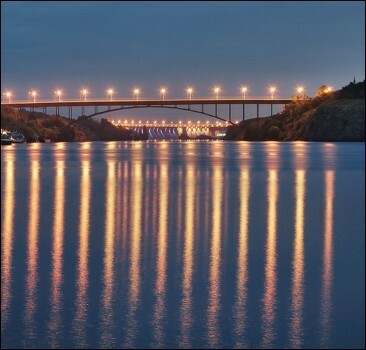 It’s a really beautiful ancient city, which is situated on the picturesque banks of the Dnipro River. Founded in the 5th century Kiev was the capital of the powerful Slavic state Kievan Rus existed in 9th-11th centuries and was a center of trade routes between the Baltic and the Mediterranean. The three nations of Russians, Ukrainians and Byelorussians descent from Kievan Rus, that is why Kiev is also known as “the mother of Russian towns”. To the south of Lviv there are the Carpathian Mountains, the land of clean air, picturesque sceneries, fast mountain rivers, lakes and waterfalls of the enchanting beauty. 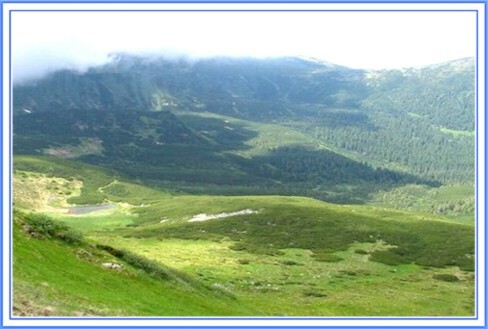 More than 400 minerals springs, of different medical properties are scattered all over the Carpathian area. Pine and beech woods amaze with the quantity and variety of berries. In winter Carpathian Mountains are a famous skiing resort, which attracts thousands of tourists with modern conveniences of the West and reasonable prices of the East. Behind the Carpathians the real Western Europe starts, this region is called Zacarpat’e. It’s a plain, where a lot Hungarian and Slovak villages are situated. The biggest towns of Zakarpat’e Mucachevo and Uzhgorod have gothic castles. 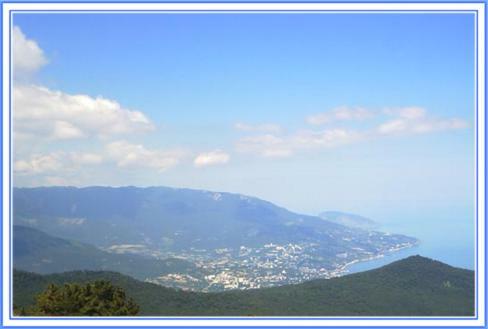 The republic of the Crimea is the most southern province of Ukraine and probably the most interesting part. Lots of beautiful words have been said about the Crimea, it has always fascinated and inspired writers and poets. The Crimean peninsula charms and tempts with its beautiful nature, variety of landscapes, ancient history and culture. Antique ruins, cave towns, Genoese fortresses, Tatar masques and absolutely astonishing Mediterranean landscapes so unusual for these northern latitudes are the main attractions for millions of people coming there every year to spend marvelous and affordable vacations. The city of Odessa is another destination, which is interesting to visit. Nowadays Odessa is a relaxed coastal city with its absolutely unique atmosphere, people and traditions. The beautiful low-rise buildings and tree-lined streets with an excellent collection of museums and the famous Opera and Ballet Theater make Odessa into a place which is really worth visiting.